Asian Pacific American Heritage Month has been celebrated since 1978 in the United States, coinciding with the first arrival of Japanese immigrants in 1843 and the completion of the transcontinental railroad in 1869, in part through the contribution of Chinese labourers. In Canada, Asian Heritage Month has been celebrated since the 1990s and in 2002 the Government of Canada signed an official declaration designating May as Asian Heritage Month, a time to reflect on the legacy of Canadians of Asian heritage and to celebrate their contributions to the fabric of Canadian society. 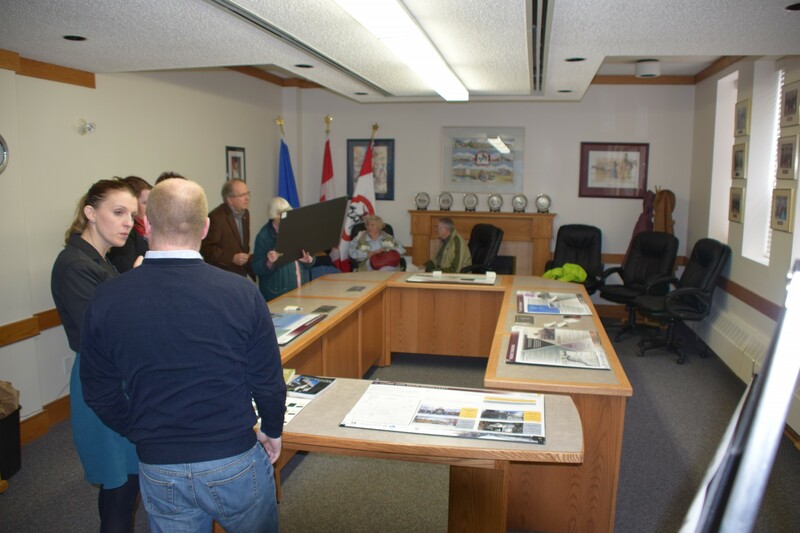 On April 16th I had the pleasure of attending an open house hosted by the Town of Raymond. They presented the penultimate draft of their historical context paper, drafted with the assistance of consulting firm Donald Luxton & Associates. The open house is the culmination of a process Raymond began with MHPP over two years. Several dozen people attended the event over the course of the evening and all were excited by the result of all this work. The context paper outlines 16 themes (people or groups, or economic or social forces) that shaped the community and, by extension, the physical environment of the town. The context paper will help Raymond identify historic places: a place is locally significant, and therefore worth preserving, if it somehow reflects the influence of one or more of these themes. While context papers do not explain the full history of a community, each one can provide a visitor (like me) with a glimpse of how a community evolved over time and Raymond’s is no exception. The town was formed by Jessie Knight who financed the purchase of land in the area, helped establish sugar beets as an important crop, and helped start a sugar refinery in Raymond. The community was settled by Jessie’s son Raymond Knight (the town’s namesake) and other members of the Church of Jesus Christ of Latter-day Saints. The town quickly grew to include members of a variety of faiths, including Japanese Buddhists as early as 1902. This project is scheduled to conclude shortly. We look forward to seeing what transpires as Raymond moves to begin identifying historic resources. Written by: Michael Thome Municipal Heritage Services Officer. 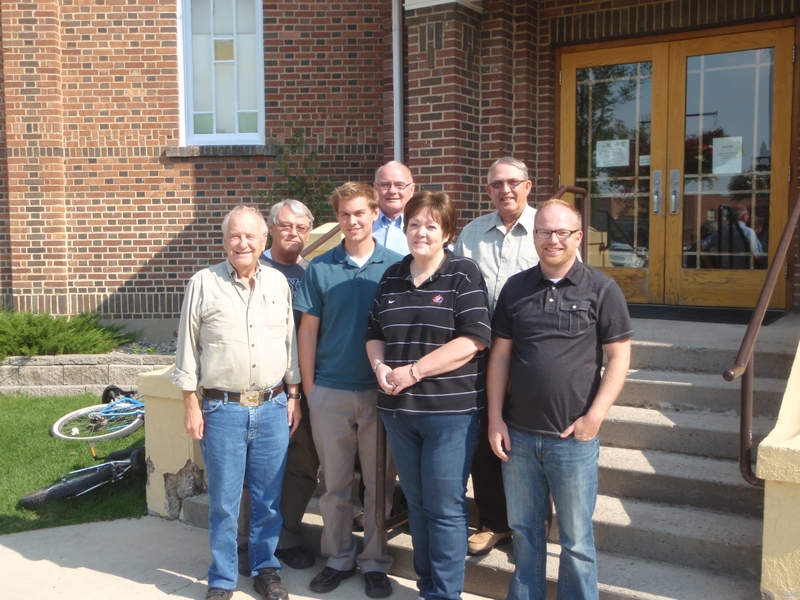 Raymond Historical Inventory Committee Members (L to R): Keith Hancock, Ross Jensen, Kyle Bullock (Municipal Intern), Jack Stone, Cathy Needham (Town Councillor), Richard Kiddle (Raymond Historical Society President). I had the privilege of leading a workshop for the Town of Raymond’s Historical Inventory Committee on August 27, 2012. The committee has been appointed by town council to explore ways to identify and protect Raymond’s historic resources. Writing a context paper for the community is an excellent first step. A community cannot evaluate places for significance without a well thought out context paper. 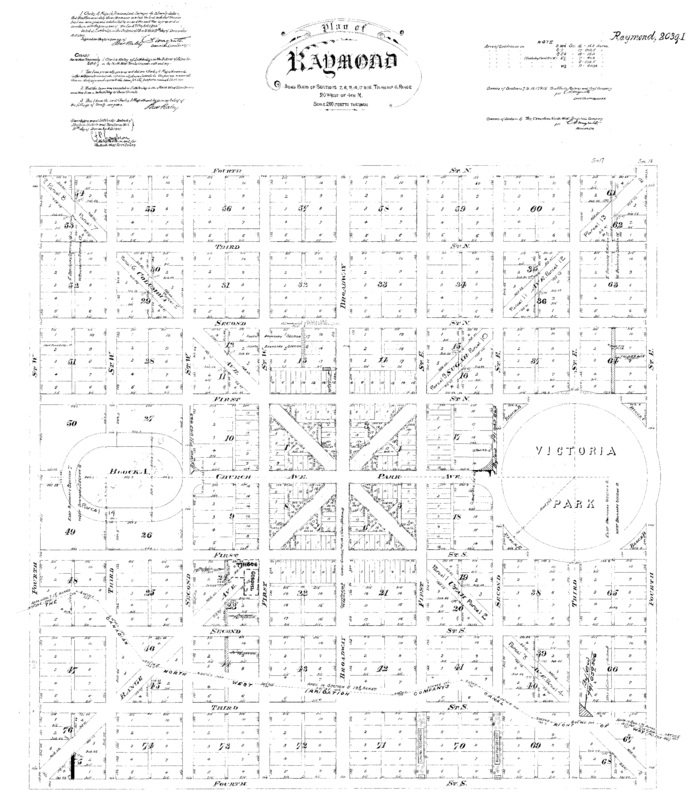 A context paper explains how a community’s past shaped its streetscapes and landscape. Writing a context paper helps community members understand their heritage values. The context paper describes key people, events and groups and explains what their impact was on the community’s development. A well written context paper can be used to distinguish places that the community feels have heritage value, from places that are just old. After a morning spent listening to me talk, we spent the afternoon drafting an outline for what could be a context paper. We talked at length about the town’s history. Raymond was founded in 1901 by a group of Mormon settlers from Utah. Jessie Knight, a wealthy industrialist from Utah, purchased over 20 000 hectares of land in and around where Raymond is situated. Knight financed the farming of sugar beet and built a sugar factory to provide the economic basis for the settlement. Raymond was incorporated as a village in 1902 and a town in 1903, and named for Jessie’s son Raymond. Raymond Knight was himself a community leader who, among other things, founded the Raymond Stampede, Alberta’s oldest annual rodeo. Each theme was a starting point to talk about individuals, groups and events that shaped Raymond. It was interesting to hear the stories. Raymond was founded and deeply influenced by members of the Church of Jesus Christ of Latter Day Saints, but has never been exclusively Mormon. Japanese Buddhists began arriving in the area in 1904. (Indeed they established a Buddhist temple in a former Latter Day Saints church acquired from the Mormons in 1929, which is designated as a Provincial Historic Resource). The people of Raymond are passionate about sports—when they built a new high school several years ago they raised extra funds to build a gymnasium large enough to accommodate all the fans. Raymond’s citizens also love the performing arts and Raymond has several amateur choirs and theatrical companies to prove it. I was particularly fascinated to learn about how the Raymond Stampede has grown from a rodeo to a homecoming event. Every year on July 1st, the community members open their homes to friends and relatives who return to take in the parade, rodeo and other homecoming festivities. It sounds like the population of Raymond probably doubles or triples that weekend. Over the next few months, Raymond’s committee will begin exploring its heritage values. The result will be written up and presented to community members for their input. When it’s finalized, the context paper will give Raymond a means to evaluate individual sites for heritage value. This is turning out to be a really interesting project. I look forward to working with Raymond in the future as this project ramps up.